Following their huge success at San Diego Comic-Con 2018 last summer, FYE will be setting up shop at New York Comic Con 2018 next weekend where they will be releasing some really cool convention exclusive designer art figures! 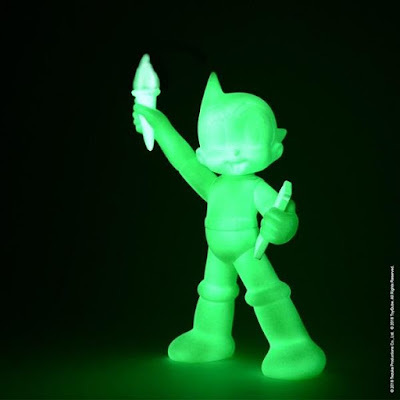 One of those NYCC 2018 exclusives is this awesome Glow in the Dark Astro Boy Statue of Liberty vinyl figures by ToyQube. 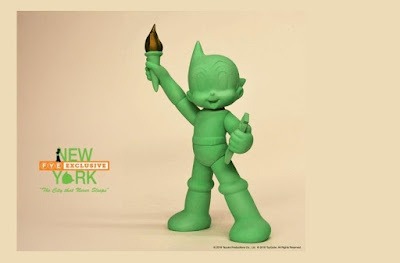 This 10” vinyl figure reimagines the iconic Japanese character as the Statue of Liberty holding a tablet engraved with Astro Boy’s birthday. Fans can purchase this limited edition exclusive at the FYE NYCC booth #622 or the FYE online store for $129.99.